If you want to get your body into ketosis, then you need to create a metabolic shift, and limiting your daily carb intake is exactly what you need to do to start that process. When you restrict your carbohydrates and eat the right amount of protein, you will begin to stimulate ketone production and ultimately start to burn fat. It’s crucial that you keep your carbohydrate count low enough each day to see the benefits of ketosis and knowing how many carbs you can eat each day to get into ketosis is a must. Fiber is a form of carbohydrate that contains molecules that are much bigger than other carbs. In fact, they are so big that they cannot be digested by the body and pass through your body without being absorbed. As a result, fibrous carbs will not push up your blood sugar levels or lead to the release of insulin. Fibrous carbs will, in fact, help to slow down the absorption of starches and sugars. They are, therefore, a valuable addition to your diet. That is why we will subtract the number of fibrous carbs when working out your caloric totals. The carb count including fiber will be referred to as the amount of total carbs. The total with fiber removed we will call the net carbs. It is the net carbs that we need to keep as low as possible. How Many Carbs Should I Eat To Get Into Ketosis? Because everyone is different, it may take some experimentation on your part with your daily carb count to figure out what works for your body. I suggest keeping net carbs below 20-25g (net carbs is calculated by subtracting total fiber from total carbs), and some recommend keeping total carbs below 30-35g if you really want to get into ketosis fast. When you use total carbs vs. net carbs, you can usually see benefits much faster because you will be much more restrictive in total carb consumption. But in my experience, it is pretty tough to eat under 20g of total carbs each day unless you are primarily consuming proteins and fats. I don’t know about you, but I need some leafy greens in my diet each day. When you consider some of the go-to foods on the keto diet, do have higher carb counts and if you are not subtracting fiber, you would have to remove many of them from your meals. A recommended healthy fat like an avocado typically has 12g of total carbs and 10g of fiber. So, if you are using total carbs, a single avocado will use up more than half of your total carbohydrate count for the day. On the other hand, if you are using the net carb approach it only counts as 2g of carbs. KETO TIP: Some sweeteners like Erythritol and Stevia can be subtracted from total carb counts because they have low or no glycemic index and don’t raise your blood sugar levels. 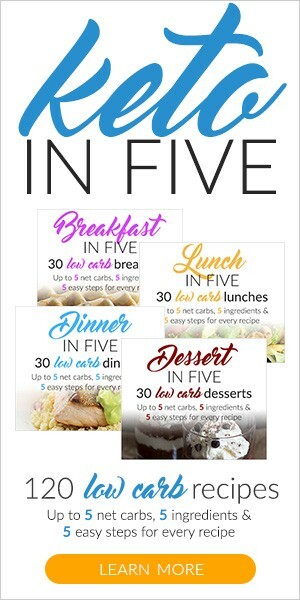 So What Do I Eat If I Want To Limit My Carbs Each Day? If you are coming from a standard American diet which suggests carbohydrates make up 45-65% of your total daily calories which translates to between 225 and 325 grams of carbs a day based on 2,000 calories a day diet reducing your carbs to under 25g a day is going to be a significant change for the better. WOW!!!! 225 to 325 grams of carbs a day… No wonder we are overweight, and the numbers for chronic disease and diabetes are at an all-time high. If you have decided to give the keto low carb high-fat lifestyle a try, then you will need to drastically reduce the number of carbs you are accustomed to eating, and you will need to make discerning food choices. 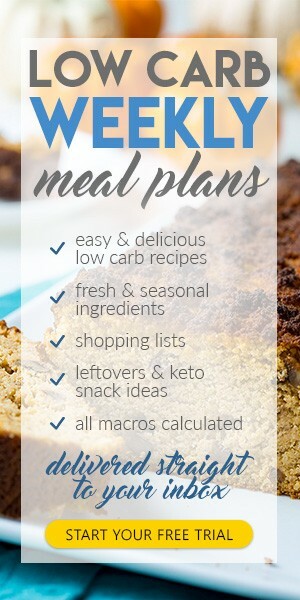 The good news is there are plenty of great food options and even many alternatives to traditional dishes recreated with low carb ingredients in mind. Grains: All grains and foods made from grains including whole grains. Beans and Legumes: Due to their high starch carb content beans should be avoided like kidney beans, black beans, and green peas as examples. Most Fruits: Fruit is high in natural sugar and carbs. You can go with a low sugar option like berries but eat them in small portions. Starchy Vegetables: Steer clear of vegetables that grow underground like potato, yams, etc. Sugar: Avoid sugar at all costs things like high fructose corn syrup, cane sugar, agave, maple syrup and even natural honey. Milk and Low-fat Dairy: Full-fat dairy products like butter, heavy cream, yogurt and sour cream are just fine. Unhealthy Oils: Avoid vegetable oils like soybean, canola, corn, peanut, sunflower, safflower, sesame and grape seed oils. They are very processed and can be incredibly inflammatory. Alcohol: This one is tough for many to give up, but alcohol can hinder ketosis and slow down weight loss due to the high carbs in many drinks. If you are going to drink alcohol, I suggest trying something like vodka mixed with soda water. Even if you are eating low carb food choices, it’s still pretty easy to consume way more carbs than you think if you’re not tracking. The good news is several apps make it simple. My personal favorite is called Senza and its free! What About the Other Macros? Protein is the building material of the body. Everything is made from it, from your hair to your toe nails. Protein is made up of amino acids, which join together like the carriages of a train to build different parts of you. Of the three macronutrients, protein is the most satiating, and carbohydrate is the least satiating. That means that protein will fill you up faster. Protein also burns more calories in the process of digestion. A key protein consideration when eating for low carbs is the state of gluconeogenesis. This is the process by which your body is able to make glucose from non-carbohydrate sources, including protein. In the absence of carbs in the diet, the body will look to convert protein into glucose. If there is insufficient protein in the diet, it will take protein from your muscle tissue and use it for energy. However, if there is too much protein coursing through the body, the unused portion will be converted to glucose. This will fight against your efforts to attain to a ketogenic state. For these reasons it is very important that you don’t take in either too little or too much protein. So, just how much protein should you be taking in? That depends on your activity level. If you are exercising regularly, especially if you are a weight trainer, you will need more protein than in you are sedentary. So, the range would be 108-180 grams per day. If you are a sedentary person, you would go with 108 grams. A hard training weight lifter would take in 180 grams of protein per day. The most common forms of polyunsaturated fats are vegetable oils. For a long time we’ve been told that they are good for us. However, the majority of them are highly processed. Processed polyunsaturated are not good for you and should be avoided. An essential fatty acid is one that your body needs but can’t assemble from other fats. You have to get it whole, from foods. The two key essential fatty acids (EFA’s) are . . . The typical diet is rich in omega-6 fatty acids, but not in omega-3. In fact, the average person takes in 20 times more omega-6 than they do omega-3. One reason for this huge disparity is the huge amount of refined grains compared with the miniscule amount of fatty fish and other omega-3 rich foods that we tend to consume. Trans fats are created when vegetable oil goes under a process known as hydrogenation. This is done to extend the shelf life of the food. Trans fats are commonly found in commercially fried foods, cookies, margarines and crackers. The hydrogenation process makes vegetable oils act like saturated fats. They raise the levels of LDL cholesterol, lading to an increased risk of heart disease. To avoid trans fats opt for coconut, hemp, olive or sesame oil. 80% of your macronutrients should come in the form of fats on the keto diet. Getting to grips with the nutritional information on the product label of the food you’re eating is going to be essential for you. Carbohydrates are packed into the most unlikely of products, often taking the form of corn syrup, corn starch, and other additives that have zero nutritional value. Sugar is nearly always added to cured meats, such as sausage, ham, bacon and hot dogs. Eat fresh meats as much as possible. When you do buy cured meats, check the amount of added sugar, as it can vary from 1 gram to 6 grams per serving. If there is no label to read, such as at the deli counter, ask questions. When a food is labeled as low carb, you may think that you don’t have to read the label. In fact, the opposite is true. There are thousands of products flooding into the market in order to cash in on the low carb craze. They may state that they only carry 2 grams of carbohydrate, but when you check the label you come across such ingredients, buried down the list, as cornstarch, maltodextrin or sucanat. Be vigilant. Let’s break what you need to look for on the nutritional panel of a label, down using an example so you can extract the information you need. At the top of the label you are told the serving size, which is one packet, or one scoop. That serving is going to provide 60 calories. The total fats will be 2.5 grams. The total carbs will be 11 grams and the total protein will be 1 gram per serving. There are no fibrous carbs in this product. You can see that this label tells you the total number of grams of fat in the product. It does not do the same for carbs or protein, but you can easily work this out for yourself. I know it sounds like a pain, but trust me you will thank yourself a few months from now even if all you do is reduce the number of carbs you currently eat and go lazy keto. You don’t have to obsess with tracking just get an understanding of what carb, fat, and protein ratios are with the food you’re eating and make great non-packaged whole food choices. You will soon be on your way to ketosis and hitting your goals.